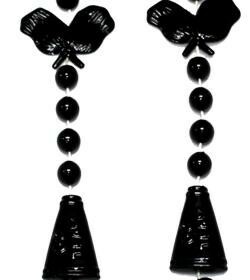 Perfect for sporting events and Mardi Gras parades. 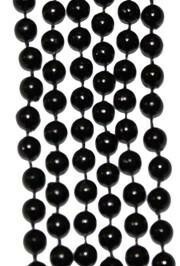 These beads are sold by one dozen (120) bags and 25 dozen (300) cases. 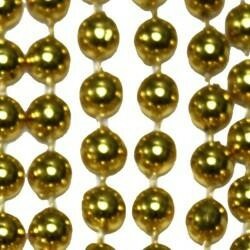 This 33in gold bead is the perfect Mardi Gras throw bead. 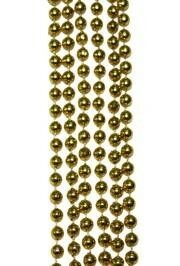 They also work great for Christmas decorations, black and gold Saints beads, and for St. Patrick's Day parades. 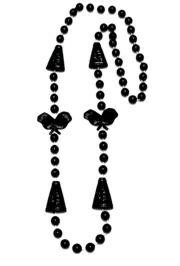 These beads are commonly bought by schools, colleges, businesses, and for parades. 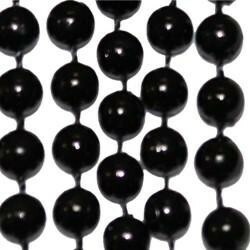 These 33in Round Black Clear Coat Beads are great for Halloween! 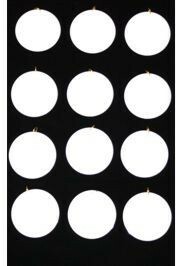 Black throw beads are great for Black and Gold parties, Saints games, or Mardi Gras throws.